Six studies unpacking this gripping part of history, and showing why, and how, to follow the King God has chosen. 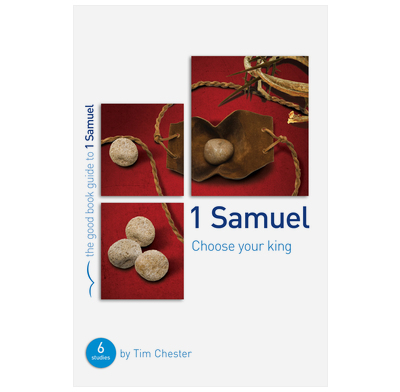 1 Samuel is the story of battles and murders, schemes and betrayals, and shepherds and giants. It is also the history of what happened when God gave his people the king they wanted, and then gave his people the king they needed. And through it all, it paints a wonderful picture of the ultimate King God has chosen for his people, his Son Jesus. With his trademark insight and clarity, Tim Chester unpacks this part of the Old Testament for small groups, enabling them to appreciate Jesus' rule for his people, and to see how to live as his subjects today.